By adding a motorized X axis, together with Perfect Laser marking software, extending the marking size and marking field can be acheived successfully. This new type fiber laser marking machine on metal with motorized X axis is Economical and cost-effective. 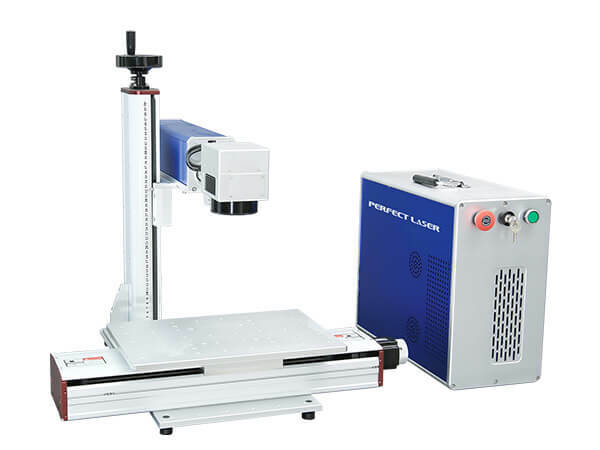 The X axis tabel with 300mm-500mm moving lengh can be customerized. The whole laser metal etching machine is using the most advanced technology in the world,and the laser source of the laser metal etching machine adopts the German IPG technology,of which the lifetime can reach up to 100,000 hours, 8-10 years without any consumables and maintenance. 1. X-axis Electric shift work platform: greatly expanded the marking size of the laser metal etching machine, to meet different customers marking needs, such as keyboard marking. 2. Best Marking Effect: the laser beam of fiber laser marking machine on metal is delicate. It will offer the best effect among all the metal marking machines. 3. High-speed: the speed of the laser marking machine on metal can be up to 7000mm/s which is faster than all the tradtional marking method. 4. Ruler Scale: helps user to adjust the focus distance of the metal marking machines more quickly and easily. 5. 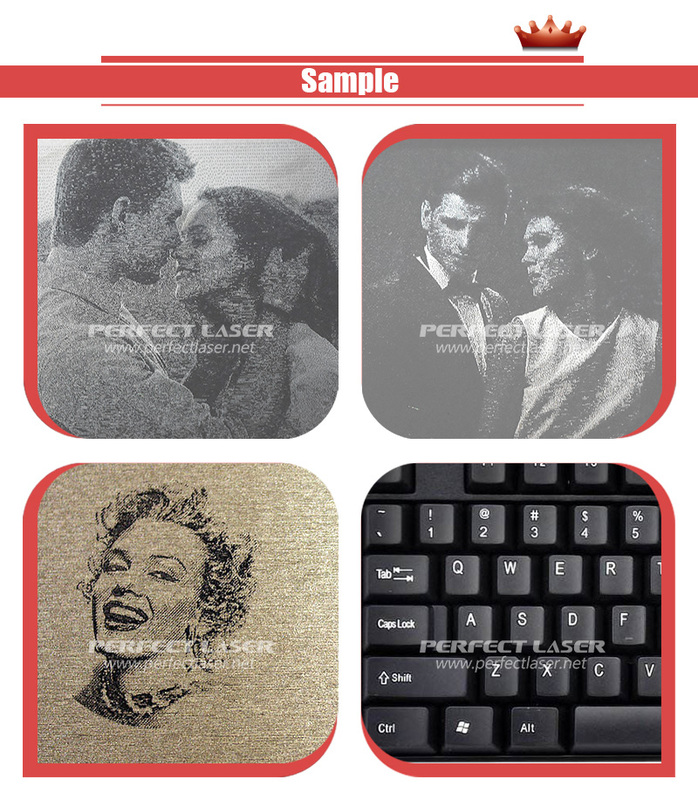 Deep Marking: Perfect Laser's fiber laser metal etching machine can make deep marking up to 1.0mm on stainless steel and aluminum to achieve laser engraving effect. 6. 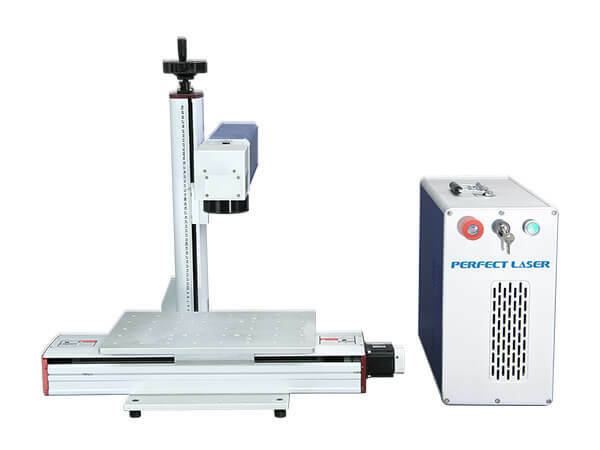 Higher Accuracy: the mark laser can reach up to 0.001mm precision. 7. 10 Years Long lifetime: the mark laser module is made by Germany IPG technology which the lifetime is over 100,000 hours. 8. Free of Maintenance: The fiber laser source is practically maintenance free and absolutely reliable. 10. Lower Power Consumption: lower costs, only 0.5kw/hour.